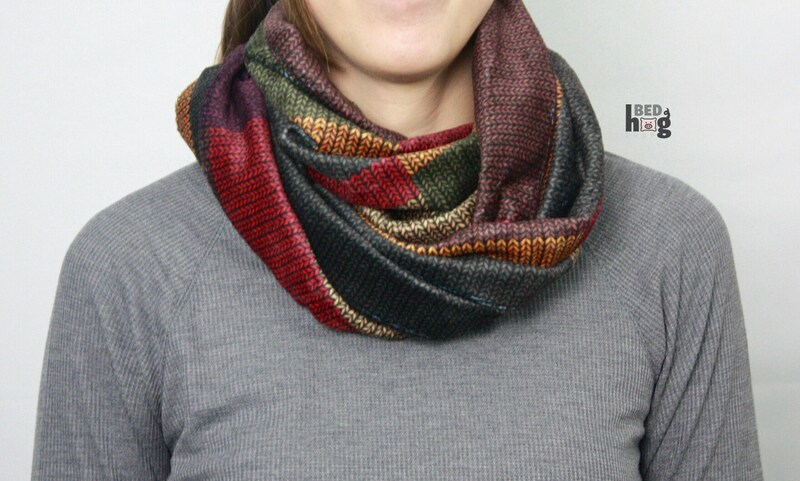 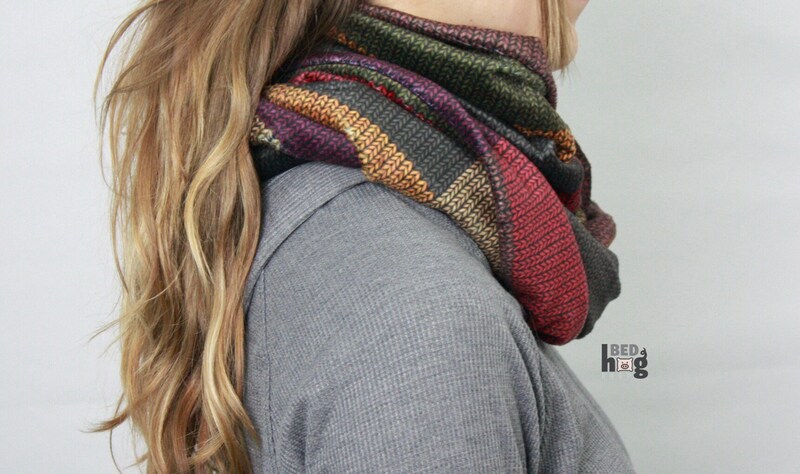 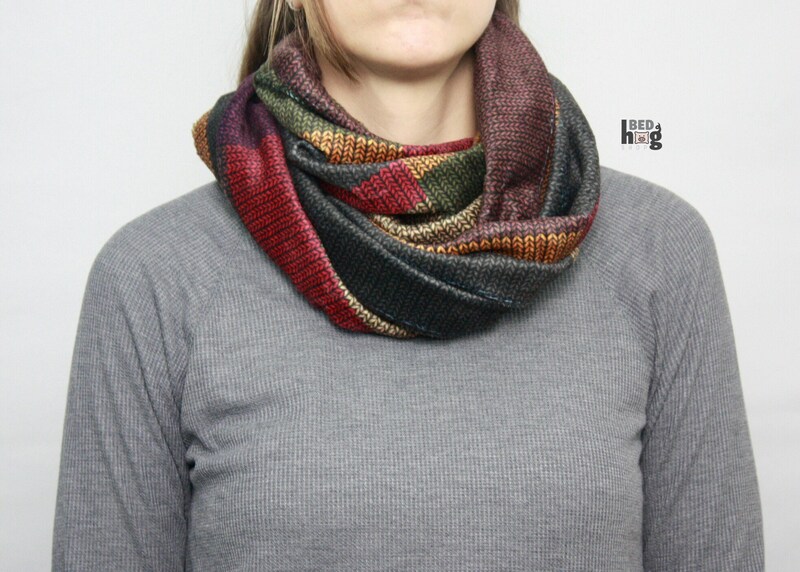 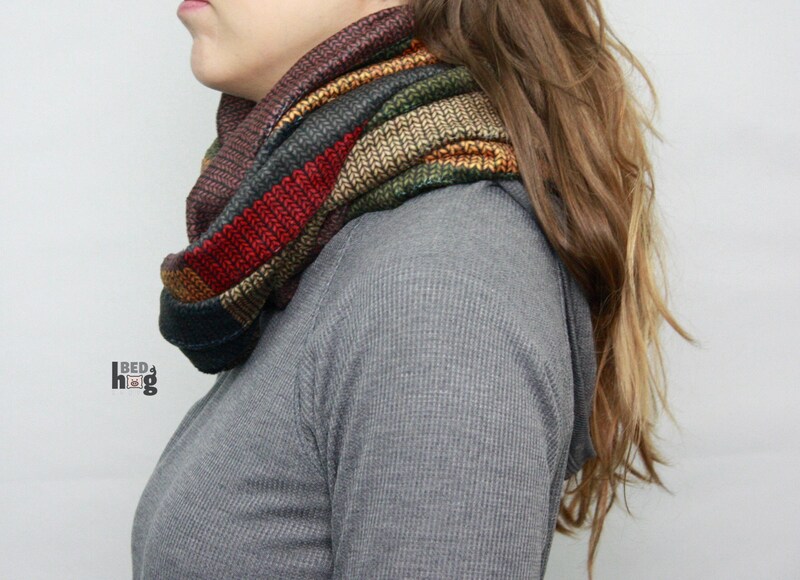 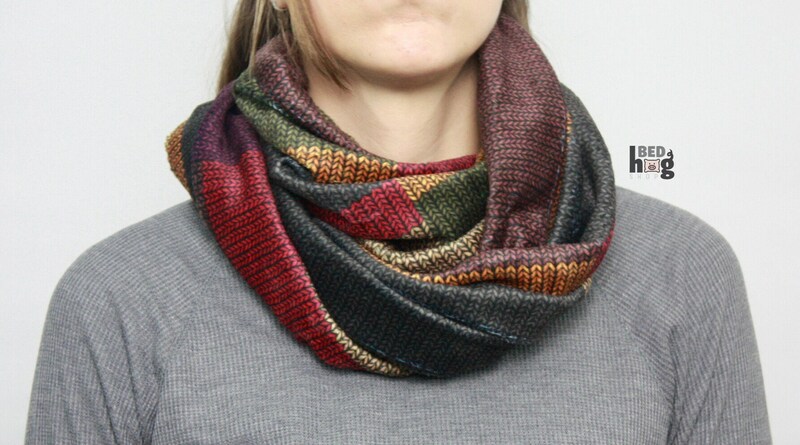 Realistic knit-look print infinity scarf in soft and cozy low pile minky. 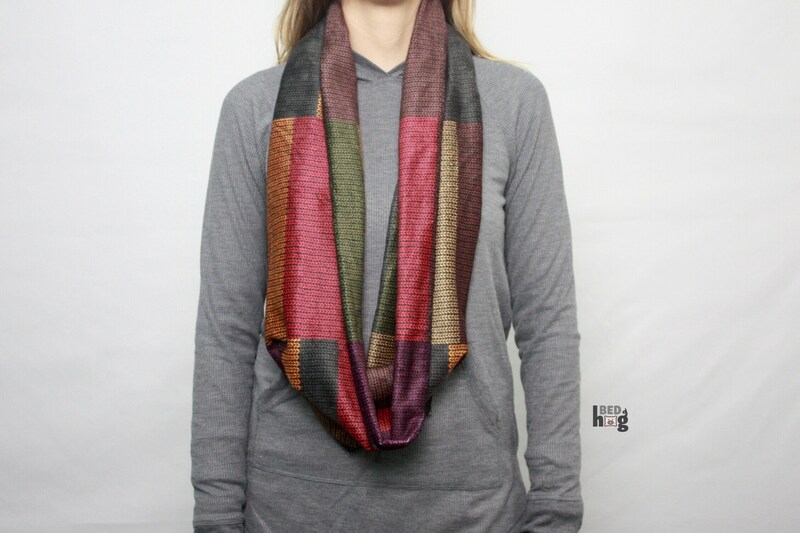 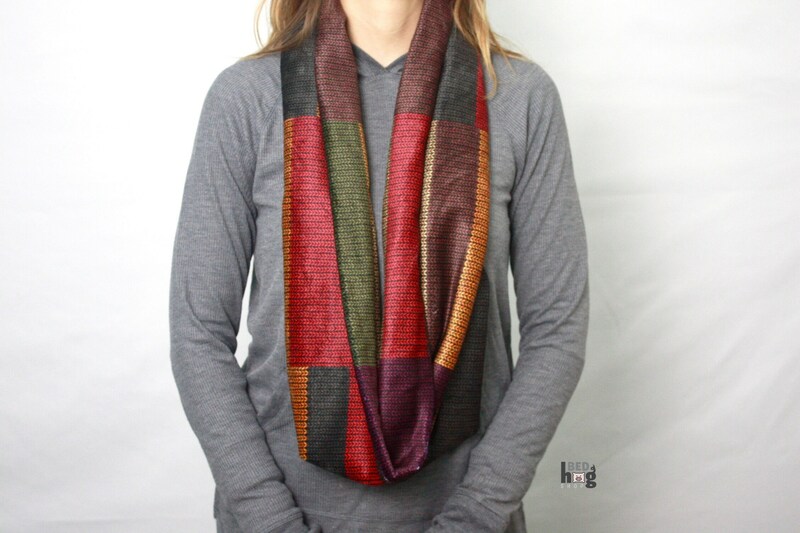 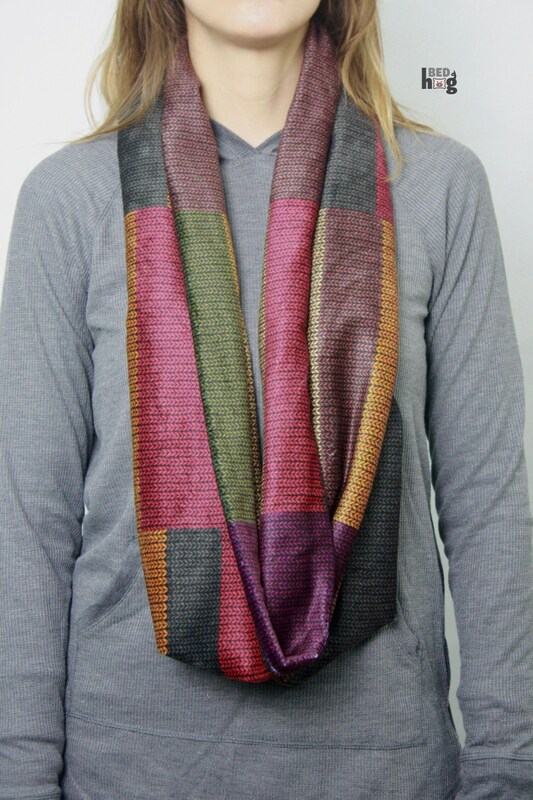 Wear it draped for an effortless look or wrap it around your neck on those colder occasions. 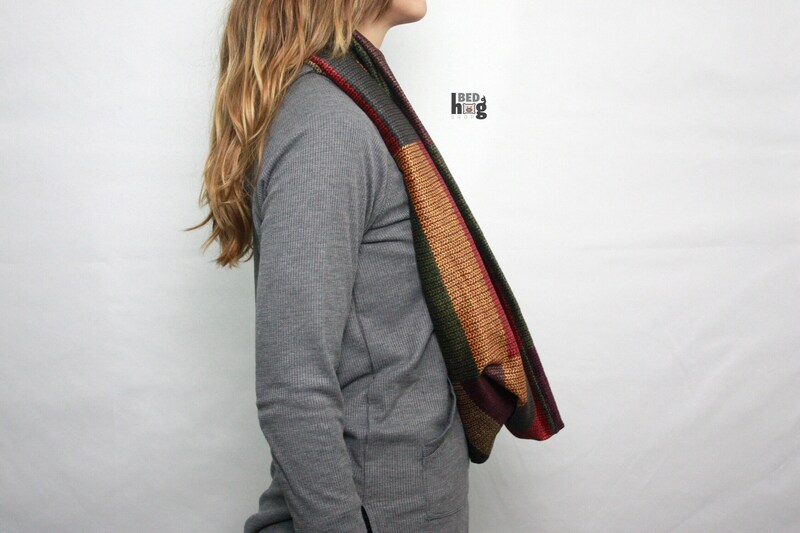 Approximate measurements laying flat: 27" x 13" with a circumference of 54".